Your regular añejo tequila tastes smokier and more complex than a blanco. 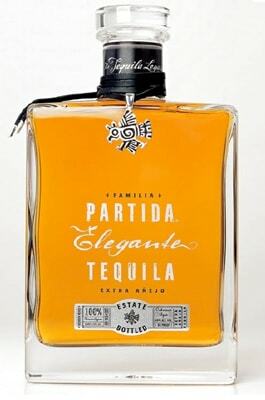 Partida's Elegante is an extra añejo for players with extra pocket strength. Aged for over 36 months and with a suggested retail that encourages window shoppers, the Elegante is for the discerning drinker. Let the great unwashed masses sip Patron.